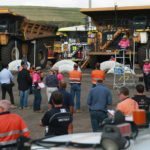 Queensland-based auctioneer Lloyds has noted a large uptake of used equipment sales in the civil and mining industries due to an increase in works. “In the last year Lloyds Auctions conducted many auctions containing civil and agriculture gear; with many achieving 100 per cent sell through rates and many items well above their reserve prices,” Lloyds head of business development Glenn Screech said. The purchase of used equipment has become a viable method for smaller contractors in particular, who can’t afford the luxury of the long lead times that come with new equipment purchases. Mining sites that upgrade operations with new equipment can often expect to wait up to 12 months for their deliveries, a luxury that smaller contractors can rarely afford. According to Screech, the company has increased its number of weekly auctions (including Cat and Komatsu gear) to meet demand from sectors such as civil, agriculture and mining. “We are seeing a trend where some companies are selling fleets of their existing heavy equipment to upgrade which is allowing smaller contractors to purchase previous models giving them the ability to start their new contracts immediately,” he explained. 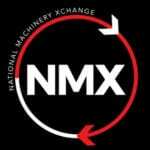 Confidence, jobs and security are all common talking points in the media and consistent heavy equipment sales indicate that these industries are all going strong, Screech continued. “We have had to increase to weekly auctions with many auction totals achieving six to seven figures. 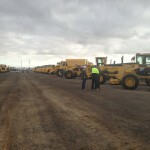 For example, we have several auctions coming up this week with major brands including Cat and Komatsu gear,” Screech concluded. In a report last month, job site SEEK revealed nine consecutive months of year-on-year growth in the Australian mining, resources and energy sector. Since September 2016, job advertisements in these areas have increased by 12.1 per cent.